Ayan Mohamud, a high performing student at Chief Sealth High School, uses a variety of tools and technologies to help her to get where she needs to go in her academic work. 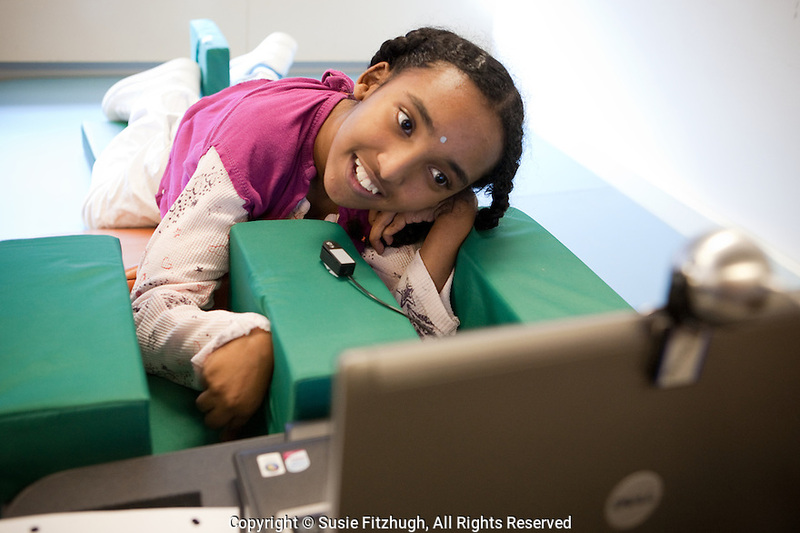 The small reflective dot on her forehead allows her to write a complex paper on a specially-equipped computer as she maneuvers the dot around the keyboard. Doug Allison, her occupational terapist, helps her to readjust her position frequently to avoid the physical stress of her cerebral palsey.